A joyous Easter to one and all as we celebrate this special time of year, and reflect on the beauty of life, love, and those around us who make up our universe. North Queensland is just coming out of Tropical Cyclone Ita which left a trail of destruction in Cooktown, Port Douglas and Cairns. Hopefully it has blown itself out and folk can get back to normal in this beautiful part of the world. Down under is a buzz with the Duke and Duchess of Cambridge, as this elegant couple tour New Zealand. Keen to share their happiness as they participate in the many organised functions, chatting to the locals and friendly rivalry on the water while yacht racing. However, baby Prince George steals the show whenever he is out and about. Meanwhile speculation is rife as to whether another sibling is on the way, as Prince William laughingly accepts a knitted shawl and suggests they should keep knitting. At the same time the fashion pundits are having a ball as the Duchess arrives each day in a new glorious outfit. Red, Cornflower blue, Emerald green, Navy, Teal, we trust there will be more to come when she visits Oz. It’s all glitz and glamour at the moment with Australian Fashion Week. Long legs and luscious looks as alluring models reveal the hottest fashion designs. This is a buyer’s show for 2015 and there was plenty on offer, with a showcase of diverse styles, prints of all variety, pastels, black and white, polka dots and frills, with embellishments on everything if possible. Sequins, Diamantes, Tassels, Pom Poms, flashes of skin with midriff’s and shoulder showing, plus a new material called neoprene which holds its shape taking the highlight. Stay slim is the key if you want to join the ranks in next year’s haute couture. More exciting news for fashion lovers with the international giant H & M (Hennes and Mauritz ) launching a flagship store in Melbourne. The Swedish retail giant has chosen Melbourne’s Iconic G.P.O. for its latest venue. Architecturally exquisite this beautiful heritage building will be the perfect place to ‘splash the cash’. An exclusive Australian Collection will be on show, with fashion for every room in the house being on display over the three floors new emporium. Following H & M South African retail giant Woolworths Holdings has gathered up the 176-year old department store of David Jones for a $2.15 billion dollars. We are told the South African’s are amazing retailers and will transform and revitalise D.J’s. giving it a private designer label of which they can be proud. Company-owned brands will be lifted along with service. It is to be hoped that this much loved establishment with its long history, will benefit from this takeover and remain the classic store that it is. Third time lucky as actor Russell Crowe finally meets Pope Francis and gets the Vatican’s blessing for Biblical Epic Movie Noah. The film which also stars Emma Watson and Sir Anthony Hopkins follows the story of Noah and his visions. With an epic budget of $130 million dollars the film is doing the rounds and needs all the help it can get. There are still no signs of the missing Malaysian Plane MH 370 or the Black Box as searchers continue their hunt in the Southern Indian Ocean off Australia’s West coast. The mystery thickens as investigators reveal the aircraft was “thrown around like a fighter jet” in a bid to avoid radar. After a week of optimism everything has gone quiet including the beeps. A mini submarine searching device will now be used to scour the ocean floor. Hopefully Bluefin-21 will produce some answers. Tomorrow morning before you crack your breakfast egg and dip your bread soldiers into its succulent golden yolk, stop and consider that you might be able to turn this beautifully shaped, delicate piece of nature into a fabulous work of art. 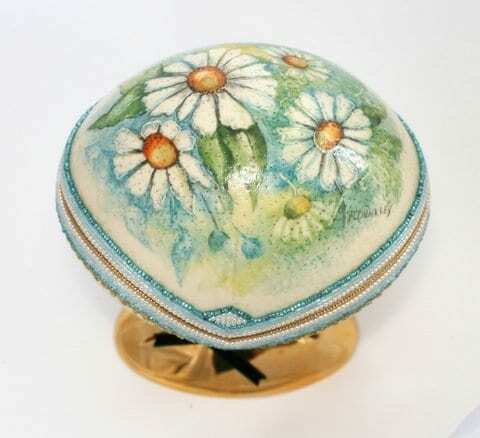 Egg decorating has been with us since the 13th Century when, as a Folk Art, it was customary to paint eggs and distribute them as gifts, especially at Easter and other religious celebrations. 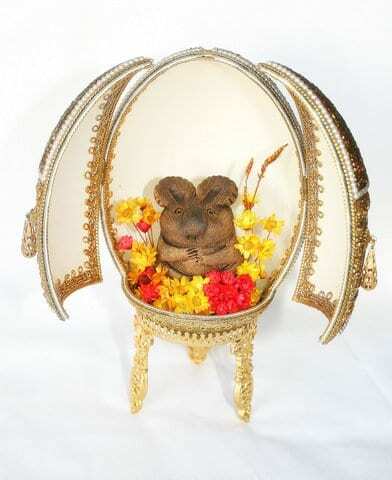 This devout and deeply symbolic ritual is still continued and carried on all over the world. I hope you enjoy my decorated eggs; I would love to hear your comments. Beautiful eggs, Patricia! I tried it several years ago. You must have a lot of puff to blow an emu’s egg! Is the shell quite thick to work on? Yes, the shell of an Emu Egg is very thick and quite beautiful inside being smooth and silky, the colour is also interesting with flecks of both green and blue. They are a wonderful size to work on and easier to handle than a goose egg or a bantam egg. 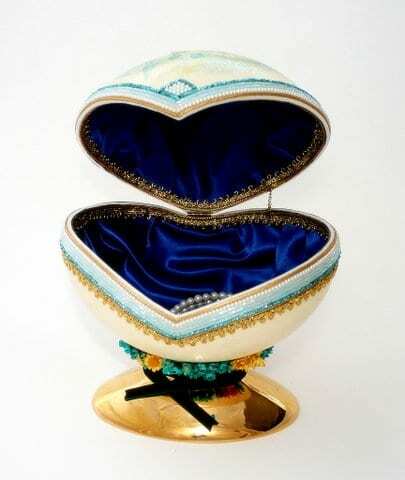 The Ostrich Egg featured is also very thick and quite hard to cut, however, they make beautiful jewellery boxes. 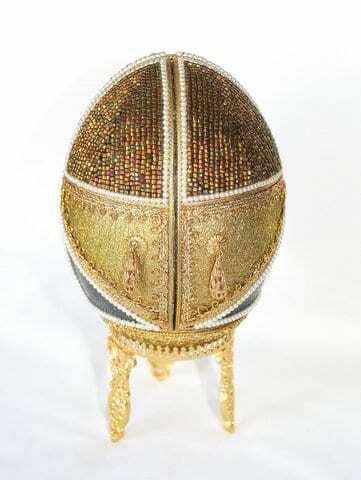 Your eggs are true works of art and testimony not only to your crafting ability, but also your patience. Thank you Seren Evans-Charrington for your welcome comments I am glad you enjoyed the decorated eggs. 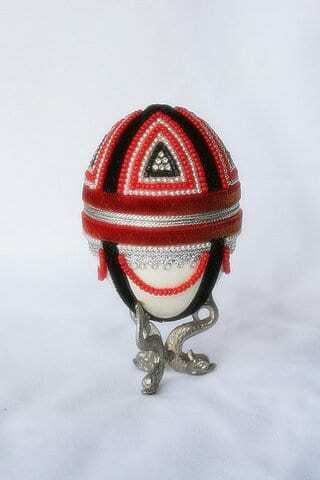 Egg decorating is fascinating and a wonderful pastime, I hope to get my book ” The Art of Decorating Eggs” published, in it there are many varieties of eggs and designs. It is a feast of glorious art and will show the way to express your creativity in a fascinating way.